It is with a great sense of loss that we share the sudden death of a Damien Spartan treasure, Mr. Chuck Ballingall. Chuck has served Damien for over 35 years, initially as head of the Debate Program. He has taught many Social Studies classes, most recently AP Economics and AP Human Geography. Blessed with a great “announcer’s voice” Chuck has served as the “Voice of the Spartans” in the basketball and baseball programs over many years as well. He will be missed. On Tuesday at 12:30 pm in the Damien Athletic Center, we will offer our student body's Opening School Mass as a memorial for Chuck and his family and friends. All are invited. Please be aware that parking may be at a premium. A reception will immediately follow the Mass in the Event Center. 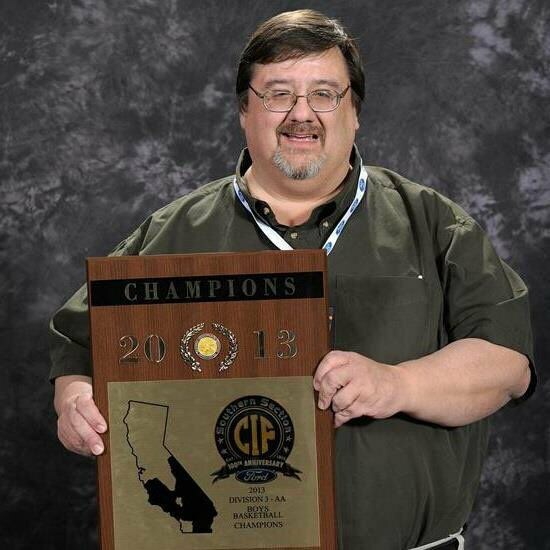 Damien High School Debate Alumni will be hosting a celebration of life/memorial Mass for Chuck on Tuesday, August 14 at 12:30 pm. Immediately following Mass will be a reception in the Event Center. The Alumni of Damien Debate is hosting a special lunch to continue the celebration of Chuck. We would like to invite all Debate Alumni and their family to a lunch. We have space reserved for up to 65 at the Pomona Valley Mining Company, which is where many of the Debate Teams' end of the year banquets were held. A buffet lunch will be served from 2:30 until 4:00, and we will have the space until 5:00 p.m. It is unfortunate that we are getting together under such sad circumstance, but hopefully our time together can remind us all of the amount of support he taught us to give one another. Many people have asked about donating to the Chuck Ballingall Future Debater Scholarship or to Damien High School on Chuck's behalf. Some of you have shared with others that you want to contribute beyond the scholarship such as contributing to the new student center building, renovation of a classroom, etc. to ensure the legacy of Chuck. If so, please contact Gabriel Hernandez, Director of Development, at ghernandez@damien-hs.edu or (909) 596-1946 x282.